Here are some differences of using a glass aquarium and acrylic aquarium. The traditional and we can say the best way to tank a fish is through a glass aquarium. But little did we know that using acrylic would also be best for a tank fish. An acrylic is more impact resistant for it is softer and more flexible than glass. It would be best for your fish especially if the fish is so restless. Acrylic also has less weight than glass so it’s much better than glass in terms of moving it from one place to another especially during cleaning and if kids are using it. Acrylic also has better protection especially in weather conditions, because it has high insulation in temperature. So it will not only protect from harming the fish, it will also save much on energy. 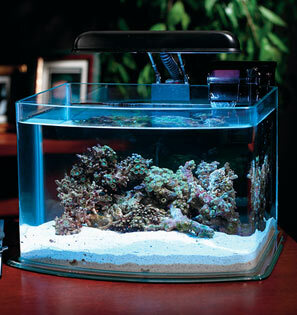 There are though a lot of varieties for acrylic aquarium to choose from. For its more flexible, it can be formed with different shapes of your choice for the decoration of your room. In fact, acrylic is the most used material for viewing fish in public places such as the ocean park. It is also easy to clean without removing the water or the fish inside. Just use the right tools and the right cleaning substance that won’t harm the fish then you’re good to go. In terms of transparency, acrylic is much clear than plain glass. In fact, compared to any known material, it has the most light that passes through it. While acrylic is good, glass is the most used and easy to acquire aquarium. Glass aquarium is better protected from scratches. It will help keep the glass its clarity and quality. When it comes to weight, glass is much heavier compared to acrylic. In fact, you’ll often need another person’s help in emptying a tank full of water aquarium (but which will also depend on the quantity of the water and the size of the aquarium). One of the great advantages of choosing a glass aquarium is the cost. 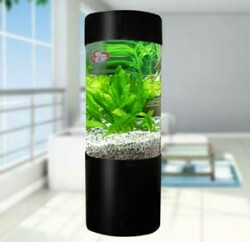 You will actually be saving a lot in using glass aquarium. In terms of quality and breakage capability, glass tanks are prone to breaking. Because of its material, it will easily break which leaves the acrylic aquarium a high quality and durable one. I for myself am currently using a glass aquarium for my fish tank. I have been using it for 5 years now; it has never for once given me a problem regarding its quality. No matter what type of aquarium I will be using, I would still like to see my fish inside it. So therefore, acrylic aquarium tank is merely for decoration purposes, not just the fish inside but especially for the tank itself. And the glass aquarium tank on the other hand is more on traditional kind where it is usually used by kids and family who wants to have fish pet and doesn’t mind whether its acrylic or glass.